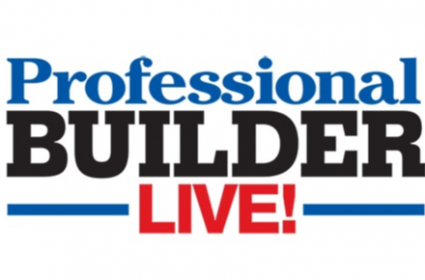 So you’re trying to decide what the best wood for sliding sash windows is? Cardinal Windows is here to help with this simple guide to understanding the difference between hardwoods and softwoods when purchasing sliding sash windows. 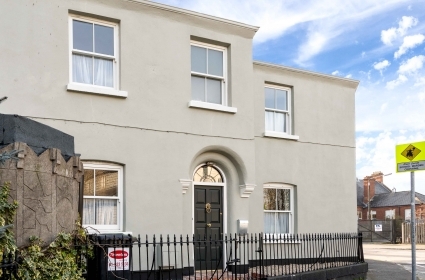 When it comes to choosing the best wood for your sliding sash windows, you need to decide between softwoods and hardwoods. Both of these wood types are used for different applications, depending on the specifications of the project, the exposure to climatic factors or the level of design detail desired. The simplest way of distinguishing wood as either hardwood or softwood is looking at how a tree begins its life. If a tree seed has a shell (aka angiosperm), such as acorns, it is classified as a hardwood. If the tree seed has no shell (gymnosperm), such as pine seeds, it is classified as softwood. It is a common misconception to define wood as softwood or hardwood based solely on hardness. Examples of softwoods include pine, douglas fir, spruce and yew. Pinewood is the most common softwood found in windows & doors due to its high-performance qualities. Windows & Doors that use softwood should be finished with a high-quality paint finish to protect the wood and prolong the product’s lifespan. Softwood is harvested from trees known as conifers (aka evergreen trees), which feature needle-like leaves and do not shed during the winter time. Contrary to popular belief, softwoods aren’t always less solid than hardwoods. Some trees like pine, are much denser than a lot of common hardwoods. 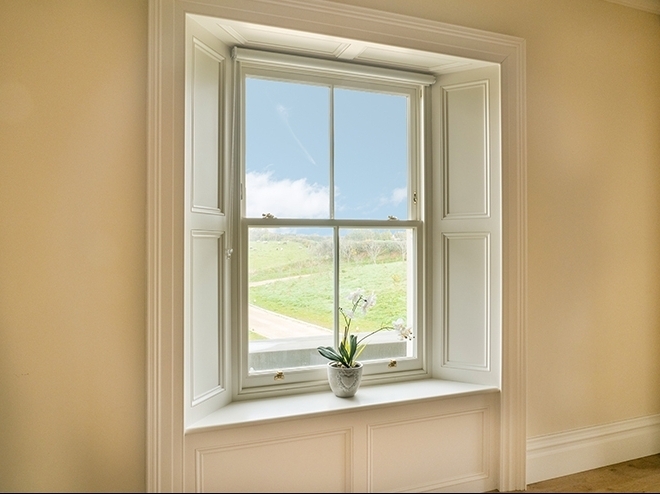 This makes them a great option when it comes to sliding sash windows. Why Choose Softwood for Your Sliding Sash Windows? 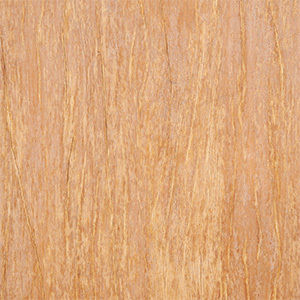 Easier To Handle: Softwoods are lighter and lower in density which allows manufacturers to laminate the wood easier. Energy-Efficiency: Softwoods work better as natural insulators than hardwoods. Absorb Paint Better: Softwoods, such as Pine, absorb paints and oils much more effectively than hardwood which will allow you to benefit from beautiful finishes. 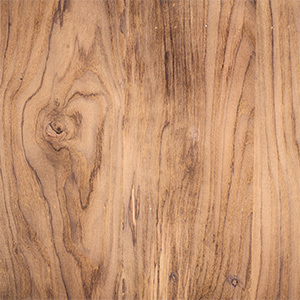 Less Grains In The Wood: Softwoods appear less grainy in appearance and have no visible pores in the natural design. Hardwood species include oak, maple, teak and mahogany. Hardwoods, such as oak, are common for customers who are drawn to a bare wood interior finish and the distinctive grooves found in the natural design. Hardwood is harvested from dicot trees (i.e lose their leaves during the winter) and their structure is often more complex than softwoods. This makes them harder and more expensive to harvest for manufacturing. Why Choose Hardwood For Your Sliding Sash Windows? Bare Wood Finish: Hardwoods produce a darker colour naturally and are often stained for customers who are attracted to a bare wood finish for their windows. Resistance To Impact: Hardwood is denser than softwood which makes it more resistance to direct impact. Harder To Handle: Aside from taking longer to harvest, hardwood is less flexible than softwood so will make it harder to handle during window manufacturing. Deep Visible Grains: Hardwoods have a presence of pores and vessels, creating a distinctive composition and pattern in the wood’s appearance. It is important to make sure that the wood type that you specify, either softwood or hardwood, comes from a certified manufacturer who participates in quality wood sourcing and manufacturing practices. Wood Build Quality: Cardinal Windows uses engineered wood with their sliding sash windows to prolong the lifespan of the product against the natural elements and to prevent warping. 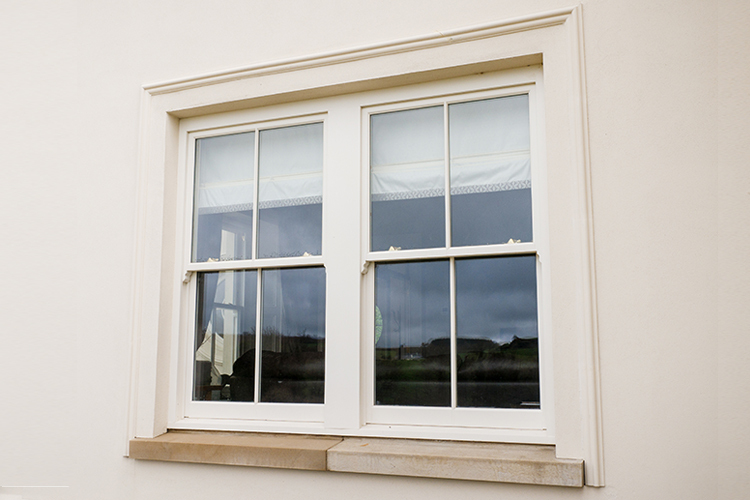 Cardinal wood sliding sash windows consist of quality knot-free timber with a moisture content of 12% +/- 2%. Paint Application Quality: Cardinal Windows uses premium quality Teknos paint which is factory applied to the wood with a high powered. This water-based and eco-friendly paint finish is elastic which means it will move with the wood allowing it to breathe and won’t crack. It is also water-soluble, moisture resistant and a fast-drying finish with a long-term UV protection. Sustainable Sourcing: Cardinal Windows sources its wood from sustainable North Scandinavia forests and consists of a minimum 60% hear-wood where the trees grow slowly and no harmful fertilisers are used. Warranty: All Cardinal wood products are backed by a 10-year warranty, giving you added peace of mind. 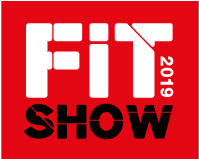 Learn more about the next-generation features & benefits of Cardinal wood sliding sash windows here. Need A Fast Quotation For Your Next Sliding Sash Window Project? 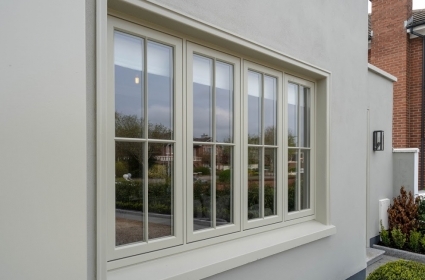 Click on the link below to design your bespoke wood sliding sash window with real-time pricing.